The 2010 American Motorcyclist Association Grand Tours Series in underway, but it's not too late to participate. 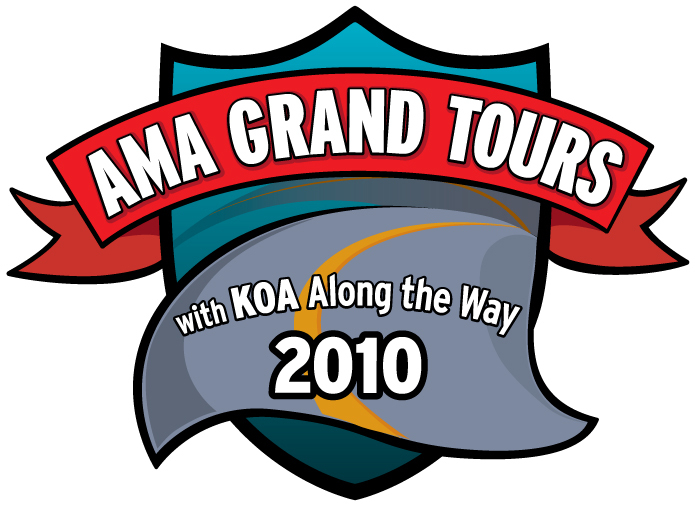 Sponsored by Kampgrounds of America (KOA), the five self-guided events are hosted by AMA-chartered clubs, and feature events for all types of motorcyclists. Registered participants receive a KOA discount card. Riders who complete at least four of the five Grand Tours will receive an AMA Master Grand Tourer certificate, as well as an extra chance to win a valuable prize from an AMA benefits partner. I've participated in a few Grand Tours in the past, and while I never managed to actually finished any, the tours were fun and helped me decide which direction to point the motorcycle on Sunday mornings.